Sometimes music is used as a tool for exploration, a vessel for a musician’s journey to learn something, often about love, life and other art or artists. This compilation serves as a collation of a bunch of individual musical journeys in a kind of recognition that they are all heading towards the same place. Now when the inspiration for those journeys is ‘Sun Ra’ you can be assured of an interesting, compelling and at moments, magical ride. The digital ‘liner notes’ by Cosmic Compositions perfectly encapsulate my sentiments, have a little read below and enjoy this wondrous compilation further down. We feel there is a huge similarity between the Avant-Garde/Free Jazz movement of the 50’s & 60’s & the beat movement of Today. As both movements attempted to break down, extend & alter the conventions of their original genres (Jazz & Hip Hop) & were never afraid to experiment & improvise to create something that wasn’t accepted commercially at the time. This compilation is a dedication to Saturn born composer, bandleader, piano and synthesizer player, poet and philosopher ~ Sun Ra. This has been offered as a name your price download but as all proceeds go to the Philippines typhoon relief fund a small donation would be most welcome. 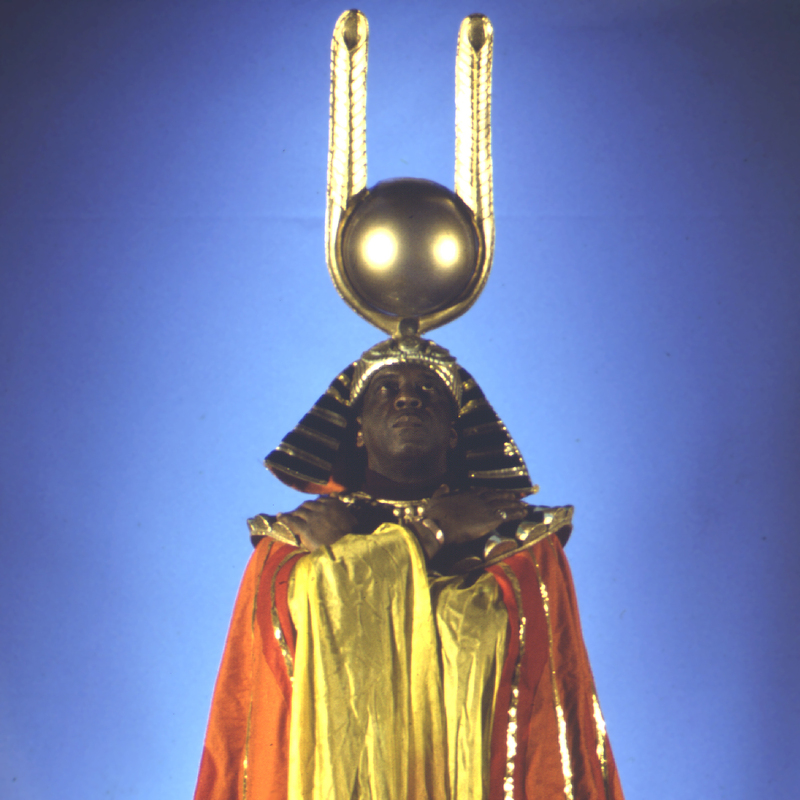 That’s one of my favourite pictures of Sun Ra.